Prussian military and statesman. As Minister of War from 1859 to 1873, Roon, along with Otto von Bismarck and Helmut von Moltke, was the dominant figure in the Prussian government during the key decade of the 1860s, when a series of successful wars against Denmark, Austria and France led to the unification of Germany under the leadership of Prussia. A moderate conservative and supporter of the executive monarchy, he was a passionate reformer who worked to improve the effectiveness of the army. Roon was born in Pleushagen (now Plesna), near Kolberg (now Kołobrzeg, Poland). His family was of Flemish descent and settled in Pomerania. The father, an officer of the Prussian army, died in poverty during the French occupation of Prussia, and the young Roon was raised by his maternal grandmother. 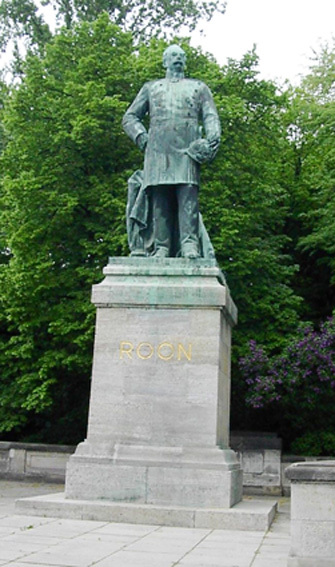 Roon entered the cadet corps in Kulm (now Chelmno, Poland) in 1816, and then at the military school in Berlin in 1818. In January 1821 he began serving in the 14th (3rd Pomeranian) regiment stationed in Stargard. in Pomerania. In 1824, he completed a three-year higher education course at the General Military School in Berlin (later called the Prussian Military Academy. In 1826, Roon was appointed an instructor at a military cadet school in Berlin, where he paid special attention to military geography. He was a student of the famous geographer Karl Ritter, who taught at the Berlin Military School. In 1832, Roon published the well-known Principles of Physical, National, and Political Geography in three volumes, which brought him great fame. This work was followed by "Elements of Geography", in 1837, "European Military Geography", "Iberian Peninsula"). In 1832, Roon joined his regiment and was subsequently attached to the headquarters of General von Muffling's observation corps in Krefeld, where he first learned about the very inefficient state of the Prussian army. In 1833 he was appointed to the Topographic Bureau in Berlin, and in 1835 the General Staff entered the rank of captain, and also became an instructor and examiner at the military academy in Berlin. In 1842, after a two-year illness caused by overwork, Roon, in the rank of major, was seconded to the headquarters of the VII Corps, where he was once again convinced of the ineffectiveness of organizing the army and took up issues of its reform. In 1844, as a tutor to Prince Frederick Karl from Prussia, he visited the prince at the University of Bonn and accompanied him on European travels. In 1848, he was appointed Chief of Staff of the VIII Corps in Koblenz. During the riots of that year, he served under Prince William, later the king and emperor, during the suppression of the uprising in Baden, where he distinguished himself with his energy and courage, for which he was awarded the 3rd class with the Order of the Red Eagle, No. Degree. In 1850, Roon was appointed lieutenant colonel, and in 1851 - colonel. Having received the rank of Major General in 1856 and Lieutenant General in 1859, Roon took part in several important missions. Prince William became regent in 1858, and in 1859 appointed Roon as a member of the commission on the reorganization of the army. At the end of 1859, he replaced Edward von Bonin as Minister of War. In 1861 he was entrusted with the Ministry of the Navy. With the support of Edwin von Manteuffel and the new head of the Prussian headquarters, Helmut von Moltke Rohon, he developed plans to adapt the Gerhard von Scharnhorst system to Prussia’s changed circumstances. Roon's proposals for reorganizing the army met with strong opposition from the Prussian Landtag. The correctness of Rohon was proved by the successful outcome of the second Schleswig War of 1864. 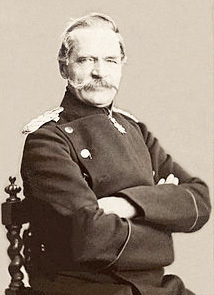 At the start of the Austro-Prussian War, Roon was appointed infantry general. He played an important role in the decisive victory in Königgratz under the command of Moltke. His actions were marked by the Order of the Black Eagle. Roon’s army system was adopted after 1866 by the entire North German Confederation, and in subsequent years it was copied throughout continental Europe. During the Franco-Prussian War of 1870-1871. Roon was in the retinue of Prussian King William I. This war ended with the complete defeat of France. Ron's contribution to this success was significant. \ In January 1873, he replaced Bismarck (who continued to remain the imperial chancellor) as minister of Prussia. Poor health forced him to resign later that year, transferring the work back to Bismarck. Roon was promoted to Field Marshal on January 1, 1873. He died in Berlin and was buried in the crypt of the Roon family in the castle Krobnits, west of Görlitz. 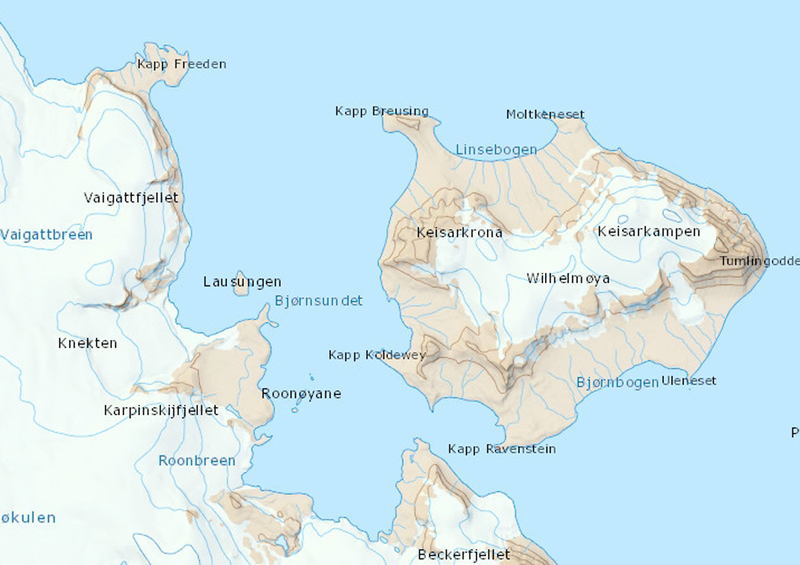 Small islands in the Hinlopen Strait, Spitsbergen. The coordinates are 79°00'N 19°30'E. Glacier in the east of the Earth Olaf V , Fr. West Svalbard. The coordinates are 79°00'N 19°30'E.